European Visual Studio 2017 Hosting - HostForLIFE.eu :: How To Organize Classes Using Namespaces? Today, in this article, we shall see what namespace actually does and how to organize the classes using namespaces. We use namespaces to organize classes into a logically related hierarchy. Namespaces function as both an internal system for organizing our application and an external way to avoid name collision between source code and application. Because more than one company may create a class with the same name, such as Employee, when we create code, that may be seen or used by third parties. It’s highly recommended that we shall organize our classes by using a hierarchy of namespaces. By practising this, we can avoid interoperability issues on application. To create a namespace, we simply type a keyword namespace followed by the name. It is recommended to use Pascal case for namespaces. 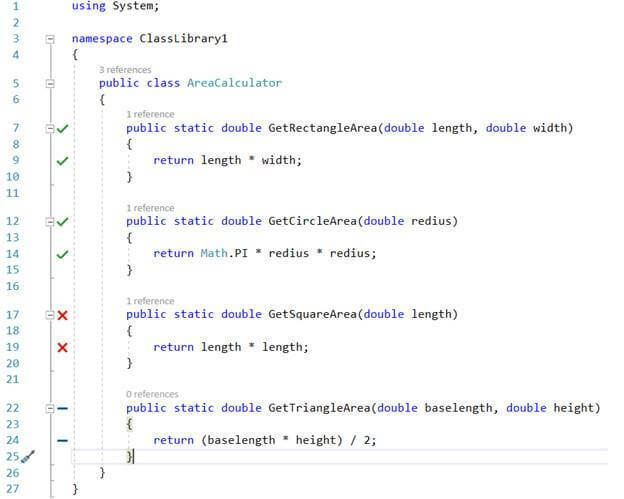 It is also recommended that you create at least two-tiered namespaces, which is one that contains two levels of classification, separated by a period. Let us see sample example of a two-tiered namespace. Above two-tiered namespace declaration is identical to writing each namespace in nested format, as shown in the following code. In both cases, we refer to class by using the following code. We should avoid creating a class with the same name as namespace. 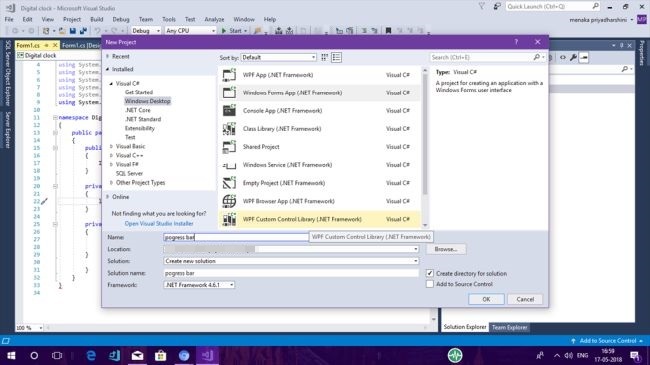 Microsoft .NET Framework is made of many namespaces, the most important one being System. The System namespace contains classes that most of the applications use to interact with operating system. For example, the system namespace contains the console class which provides several methods, including WriteLine, which is a command that enables us to write code to an on-screen console. We can access WriteLine method of console as follows. A few of other namespaces that are provided by .NET Framework through the system namespace are listed below. 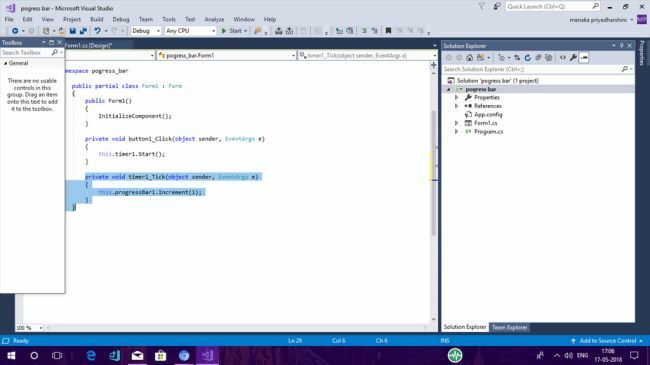 Provides the classes that are useful for building applications based on windows. 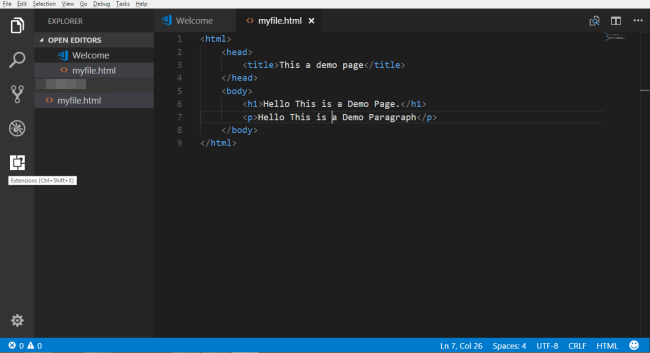 Visual Studio Code is a Editor for running your code efficiently. It is now very popular editor for running your Source Code. 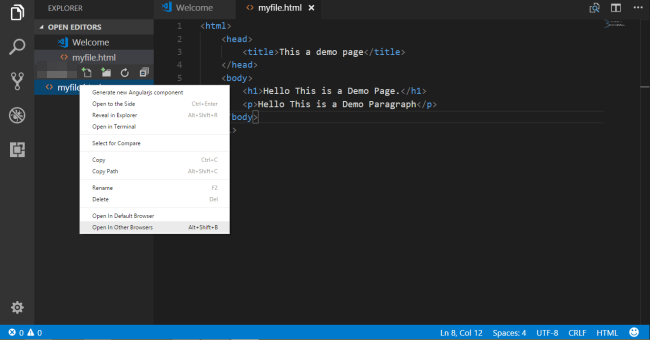 Its features are very awesome and anyone can shift to Visual Studio Code. The best part is, it is free to use and free to download. 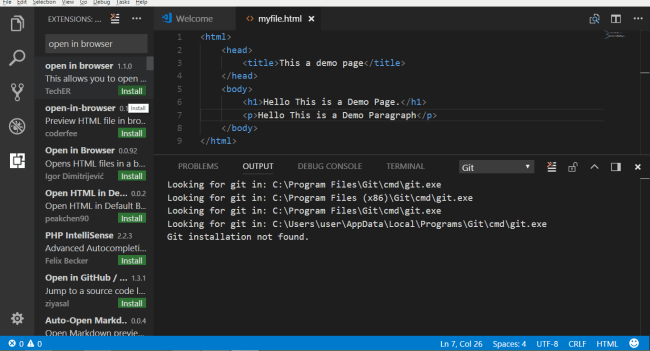 The developers who are get bored from the OLD, Simple looking, Boring HTML code Editors can also shift to Visual Studio Code. It is Developed by Microsoft.Nowadays developers facing problems while running a simple HTML code directly from the Editor as Visual Studio Code does not have any in-built direct feature to run the code like other Editors or its own Visual Studio. But here is a solution to run the code directly from the Editor. 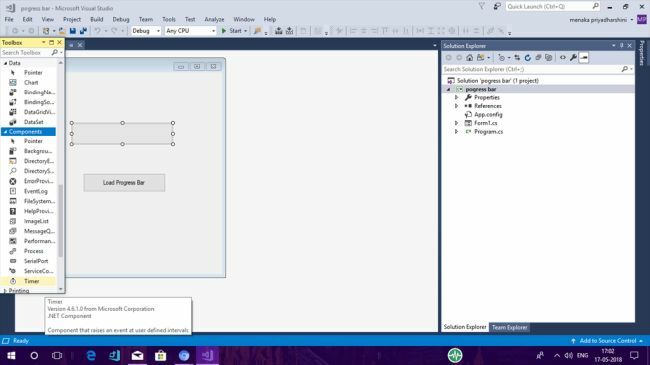 After completion of the installation process it will ask for RELOAD.Just RELOAD the VSC(Visual Studio Code) Editor it will not cause any damage to your unsaved data. 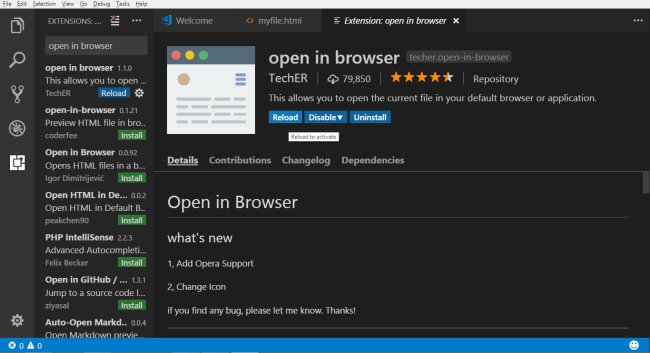 After reloading just right click on your html file and select "Open in Other Browsers". Select your required Browser and See your Output. 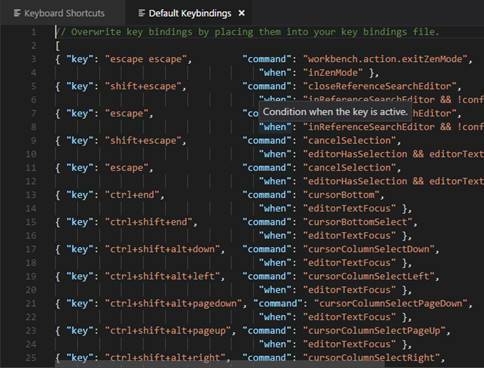 Another way to run is a Short cut key from your keyboard is (Alt+Shift+B). In this article, I will explain how to use Progress Bar control in Windows.Forms applications. Progress Bar control is an important control; many applications need to include progress bar control in them. Designing a Progress Bar in Windows.Forms application is simple and it can be used in the application. 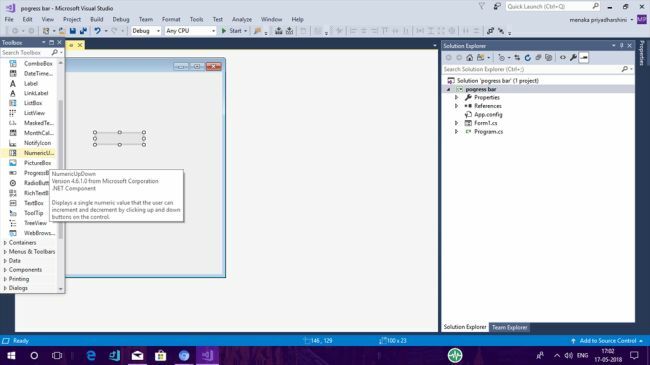 Follow the steps given below to create a Progress Bar. 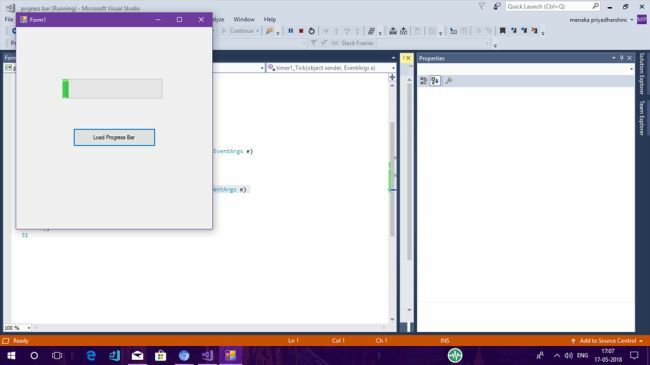 Open Visual Studio 2017--->NewProject--->Windows.Forms application and name it Progress Bar. From the toolbox, drag and drop the button control into the form and right click on the button. Select property. Here, you can change the text, font, and the name of the button. In my Project, I changed the text of the button to "Load Progress Bar". 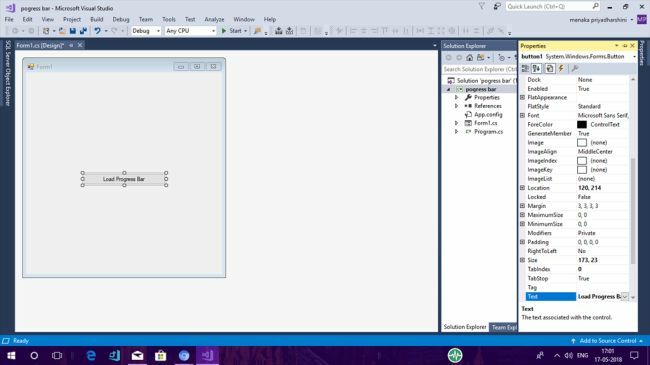 Now, drag and drop the Progress Bar from the Toolbox to Windows.Forms in Visual Studio. Right-click on the progress bar and select property. Here also, you can change the text, font, and name of the Progress Bar. Progress bar is a control that applications use to indicate the progress of a lengthy operation, such as calculating the result, downloading a large file from the web etc. Progress Bar control is used whenever an operation takes more than a short period of time. The maximum and minimum properties define the range of values to represent the progress of a task. 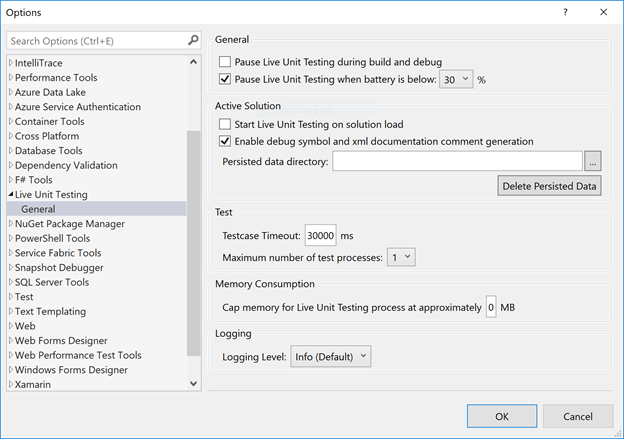 Now, drag and drop the timer control from the toolbox to the Windows.Forms in Visual Studio. The detailed function of Timer control is already explained in my previous article. Now, it's time to code. Follow the code given below in the screenshot for the Button-Click event. Now, follow the code given below in the screenshot for the timer click event. A progress bar control is used to display the progress of some activity. I have added a timer control to the form and on the timer tick event handler, I increment the value of the progress bar. Compile and run the project. The final output of the project obtained is as given below in the screenshot. As the "Load Progress bar" button is pressed, the progress bar starts to display the progress. Hope you all understand the working of a progress bar. In case of any problem or error, please feel free to comment down below. 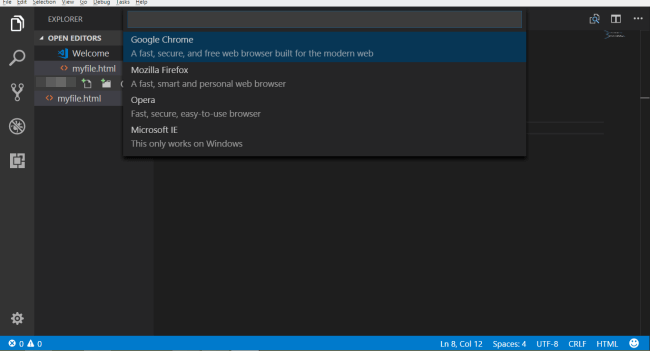 In my next article, I will explain how to install NuGet Packages and work with Circular progress bar control in Windows.Forms application.
} /// End button2 scope here. suppose this type of blank lines on every pages. 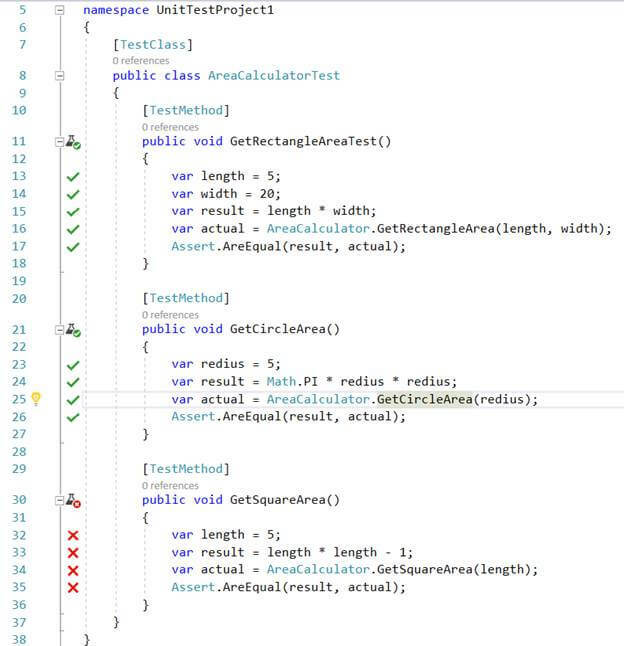 if you want manage your code that's no possible remove line one by one. Thank to Microsoft to give to option remove all blank line. Open the find and replace pop up windows and past the code "^(? ([^\r\n])\s)*\r?$\r?\n" in find textbox. Note : You must be select the "Use Regular Expressions" before hit the replace button. HostForLIFE.eu revolutionized hosting with Plesk Control Panel, a Web-based interface that provides customers with 24x7 access to their server and site configuration tools. Plesk completes requests in seconds. It is included free with each hosting account. Renowned for its comprehensive functionality - beyond other hosting control panels - and ease of use, Plesk Control Panel is available only to HostForLIFE's customers. Theyoffer a highly redundant, carrier-class architecture, designed around the needs of shared hosting customers.